Puerto Rico – After 35 years, eight Grammy Awards and 110 million records sold worldwide, heavy metal trailblazers Metallica have nothing left to prove. The Rock and Roll Hall of Famers, who are 61st on Rolling Stone’s list of the 100 Greatest Artists Of All Time, aren’t resting on their laurels, though. This month the band is slated to release its 10th studio album, Hardwired… to Self-Destruct. In advance of this release, Metallica kicked off a Latin American tour, opening with a 26th October concert at the Coliseo de Puerto Rico José Miguel Agrelot in San Juan, followed three days later by a Saturday night concert at the Parque Bicentenario in Quito, Ecuador. Chauvet Professional fixtures added to the excitement at both venues. 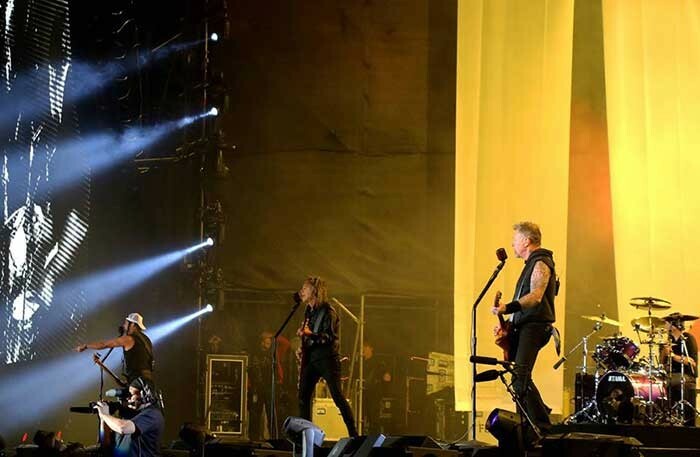 At the 18,500-capacity Coliseo de Puerto Rico José Miguel Agrelot, the Metallica rig included 49 Q-Wash 560Z-LED moving heads and 16 COLORado 4 IP RGBW linear wash fixtures, supplied by Musique Xpress Lights. A group of 18 Q-Wash fixtures was positioned on U-shaped ladder style truss and used to wash the stage in vibrant colors. The remaining units were arranged on the floor, where they provided stage washing and aerial washing effects. 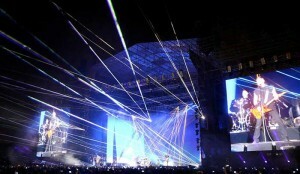 Musique Xpress Lights used the COLORado 4 IP fixtures in the San Juan rig to provide intense front uplighting for Metallica. The bright output from the fixture’s four 40 Watt LEDs and 15° lenses provided the punchy looks that matched the thrash metal icons’ music. At the second stop on the Hardwired... to Self-Destruct Tour, a collection of 48 Legend 230SR Beams, supplied by Línea Estratégica of Medellín, Colombia and purchased through Wholestage, was used to provide audience lighting and cross beam effects. From the moment each concert began with “Creeping Death” on through to “Enter Sandman,” the jam-packed crowds were caught up in Metallica’s music note for slam down thrashy note, singing along and dancing. Chauvet Professional fixtures were there to provide an appropriately intense level of visual support.